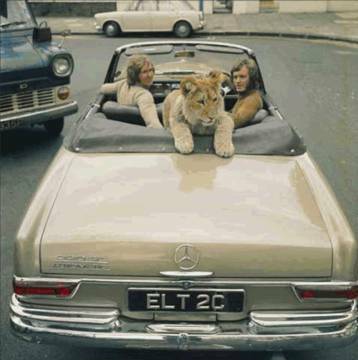 n 1969, John Rendall (now a trustee of the George Adamson Wildlife Preservation Trust) and Ace Bourke bought a lion cub from Harrods in London. He was called Christian and was looked after by John and Ace in England for about a year. He was a magnificent animal, full of character and friendship, and an amazing bond formed between the two men and the lion. 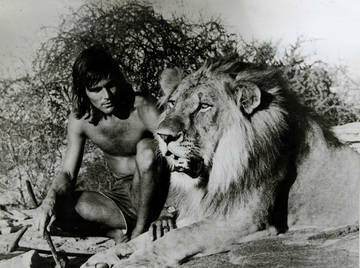 In 1970, John and Ace decided to take Christian to George Adamson in the Kora National Reserve in Kenya, where George and his assistant, Tony Fitzjohn, would rehabilitate him to the wild. His rehabilitation was a great success. 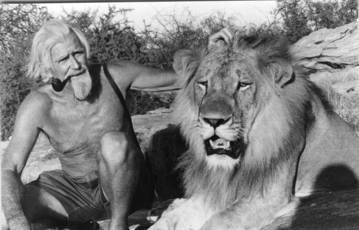 Tony Fitzjohn lived and worked with George Adamson in Kora for nearly 19 years and Christian was the first lion that Tony handled, having joined George in 1970. Christian’s great personality endeared him to most humans who came into contact with him, and his life with John and Ace and subsequently George and Tony was characterized by affection and friendship. John and Ace’s extraordinary reunion with Christian, a year after they had taken him to George, was filmed and is subject of a wonderful documentary and book. The clip of the reunion was recently placed on YouTube and has received over 45 million hits! Christian lived a great life in Kora. 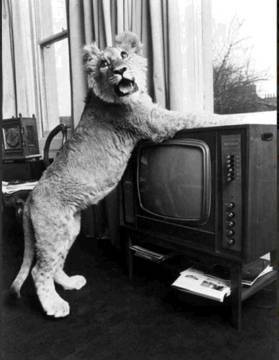 In 1973, he moved off to find his own territory, away from the other wild male lions in the area. The fact that he lived to over five years old is incredible. Life in the wild is rough for lions and other carnivores. Hunting daily for food, being injured and kicked by the prey species, fighting off other male lions and fighting for territory all make for a short life. George Adamson was murdered by bandits in 1989 and with the politics in disarray in Kenya, Tony Fitzjohn went to Tanzania to work in George’s name in partnership with the Wildlife Division of the Government of Tanzania on the rehabilitation of the Mkomazi Game Reserve – a long degraded piece of land. 20 years on, Mkomazi has now been upgraded into Tanzania’s latest National Park. 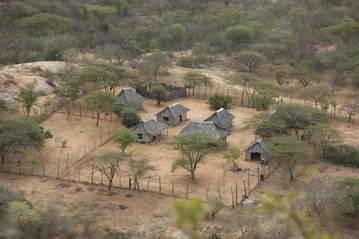 As has been demonstrated by Tony in the course of his work in Mkomazi National Park in Tanzania, the rehabilitation of the ecosystem, the endangered species programmes, the community outreach programmes and the environmental education programme do not simply attempt to hold the line on conservation. They are an endeavour to re-establish a complete ecosystem positively reversing the damage which has been done. Techniques of revival and renewal have successfully been put into practice. That process is the driving force of GAWPT and one that we hope to apply with KWS to Kora. For the past few years, Tony has been making the occasional trip up to Kora. We have re-built George’s old camp in a simple fashion and kept a couple of staff in the camp. Roads have been cleared with assistance from GAWPT and a presence kept there. KWS have been great. 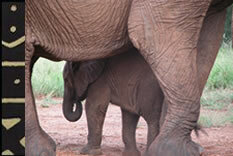 They have a professional and dedicated work force in place who make serious decisions on wildlife preservation. For all these years they have kept a presence near George’s camp, as well as the graves of him and Terence his brother, which were at one stage vandalized. It must have been a considerable cost to them but there are always KWS rangers there to ensure that the camp and graves are not burnt down again. It was a great honour when the Director of KWS offered Tony a welcome back to Kora. Animal rescue programmes and the construction and stocking of a rhino sanctuary were discussed, as well as security, roads and outreach programmes. Asako village is Kora’s nearest neighbour. Remote, barren and desolate, for many years it was forgotten, marginalised and overlooked by successive Governments, with no recourse to regional or district authority. In the past it had also been the subject of random attacks by Somali bandits. The rainfall is low and unreliable and the village is extremely poor. The population has doubled in the past few years. Few crops are grown due to the low rainfall and much damage was inflicted on the traditional growing areas during El Nino and with the construction of dams upstream. Houses are made of grass or mud. Families keep goats and cattle but few crops are grown. GAWPT has contributed in many ways to the welfare of the local villagers in Asako village with Flying Doctor visits, medical dispensary help and water projects, including a hand water-pump (now in need of repair) and recently a 16 foot water windmill pump on a 30 foot tower. 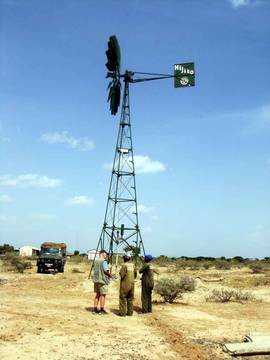 This water windmill pump uses natural energy, is productive day and night and needs no fuel and little maintenance. The well serving the water windmill pump now needs to be deepened to find quality drinking water as the pump is currently supplying more brackish water that is being used by the school for domestic purposes. The engineers are working on this and we hope it won’t be too long before better and a more reliable supply of water is flowing to the fields, the village and the school. On recent visits with Trusts for African Schools, now contributing so generously to the welfare of the pupils and the teachers of the Asako Primary School, discussion continued with the village elders on our continued assistance to these villagers of Asako with their most basic water needs, inland crop irrigation and water for the Asako Primary School.